Disclaimer: Participation in the OMC Professional Training Programs does not constitute or substitute for any healthcare training or identification as a state-regulated healthcare provider. The Ottawa Mindfulness Clinic is approved by the Canadian Psychological Association to offer continuing education for psychologists. The Ottawa Mindfulness Clinic maintains responsibility for the program. 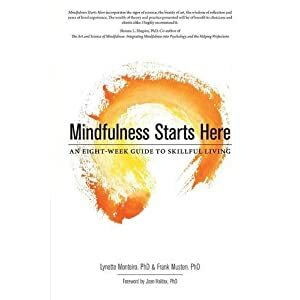 Training in the foundations of mindfulness and the MBSM program can span up to one year of study and practice. Please also note that all participants in the professional training are assessed at each stage for their suitability to continue to the completion of this training or continue to other levels. Participation does not guarantee the qualification level will be attained. The participant may be requested to seek further development of skills. Applicants’ professional training should reflect the capacity to work with individuals experiencing mental health issues (may include individuals with physical disabilities for whom good mental health is important). Professions include healthcare professional (psychologists, psychotherapists, nurses, physicians, educators, coaches, spiritual counsellors, and clerics). Applicants who are not formally trained mental health professionals (peer support facilitators, etc.) should have mental health first aid and suicide prevention training. Applicants are expected to have a contemplative, meditation practice that includes meditation training¹ for the past 2 years. The OMC Professional Training Program uses The Bangor, Exeter & Oxford Mindfulness-Based Interventions Teaching Assessment Criteria for training and feedback. Certificates of Completion are provided upon successful completion of each training level described below and may qualify for CEUs from some professional associations. Upon successful completion, the skills may be used within the scope of one’s professional training. For example, as a mental health professional, this may involve using the practices and concepts with individual clients. NOTE: Completion of this training does not certify mindfulness teaching skills, constitute approval to teach an 8-week program, or to train others using the MBSM materials from the OMC. Applicants must be accepted into the Professional Training Program BEFORE participating in the 8-week MBSM Program. Training: Attending the 8-week or 5-Day Intensive MBSM Program. Note: Levels 1 A & B training will be offered by the University of Toronto School of Continuing Studies beginning Fall 2019 as a 6-month program (attending once a month). The Qualified Teacher Levels are designed for professionals who wish to deliver the complete MBSM program in group formats or with individual clients using the complete MBSM curriculum. This level of training requires teaching the MBSM curriculum with the guidance of a mentor. Space permitting, co-facilitating in one of the OMC programs may be a possibility. Training: Conducting the MBSM program(s) with an active individual therapy case(s) or group under mentorship with an OMC Certified Teacher. Note: Delivering more than one program may be required to attain competencies at Level 2. The OMC adheres to the global guidelines for mindfulness teachers as formulated by the International Integrity Network. Upon successful completion, professionals are considered an MBSM-Qualified Teacher and may deliver the complete 8-week MBSM Core program. Adapting the curriculum for specialized clinical populations may only be done within the scope of the Qualified Teacher’s credentials. Certification permits individuals to offer MBSM as an 8-week or 5-Day Intensive program. Prerequisites: Successful completion of Qualified Teacher Level 2. Training: Completion of a minimum of three 8-week programs (or equivalent) with a certified MBSM teacher with mentoring. ($CDN 500 + 13%HST per MBSM session mentored). Upon successful completion, professionals are considered Certified Teachers of MBSM. They are required to maintain a schedule of 5- or 10-day teacher-lead silent retreats annually and attend retreats/workshops on Buddhist Foundations and ethics of mindfulness. Click here for Teacher Training Path Application information. The CPA’s approval of an individual, group, or organization as a CE Sponsor or Provider is restricted to the activities described in the approved application or annual report form. The CPA’s approval does not extend to any other CE activity the Sponsor or Provider might offer. In granting its approval, the CPA assumes no legal or financial obligations to Sponsors, Providers, or to those individuals who might participate in a Sponsor or Provider’s CE activities or programs. Further, responsibility for the content, provision, and delivery of any CE activity approved by the CPA remains that of the CE Sponsor or Provider. The CPA disclaims all legal liability associated with the content, provision, and delivery of the approved CE activity. ¹Meditation training is defined as 30-45 mins of silent sitting meditation; if longer the practice may include alternating with walking meditation. Guided practice refers to meditations lead by recognized Insight Meditation teachers.